Rosa Ivette Mercado, 42, 97 Plaza Drive, Middletown, was charged on Aug. 1 with third-degree assault, second-degree threatening, disorderly conduct, second-degree strangulation/suffocate, risk of injury to a child and third-degree criminal mischief. 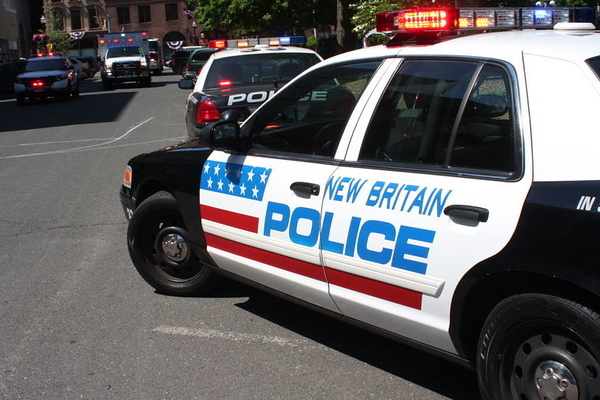 Murphy S. Maysonet, 26, 87 Tremont St., New Britain, was charged on Aug. 1 with illegal possession of weapon in motor vehicle, improper turn stop signaling, illegal operation of moto vehicle under suspension and possession of less than ½ ounce marijuana. Billy Arroyo, 31, 121 Wilcox St., first floor, New Britain, was charged on Aug. 2 with tinted auto glass requirements, possession of narcotics, possession with intent to sell/dispense, risk of injury to a child, operation of motor vehicle without a license, second-degree assault, second-degree criminal mischief and second-degree threatening. Robert L. Grant, 40, 68 Spruce St., Apt 2, Manchester, was charged on Aug. 2 with second-degree breach of peace and third-degree assault. Christopher Jonathan Correa, 21, 36 Sisson Ave., Apt. 2, Hartford, was charged on Aug. 2 with interfere with officer/resisting. Posted in New Britain Herald, New Britain on Tuesday, 7 August 2018 20:04. Updated: Tuesday, 7 August 2018 20:06.